Holiday greetings have been around almost as long as the Christmas holiday itself, in the form of sermons, almanac entries, poems, books for children, and even notes attached to bills and receipts. In the 1840s, people were given another way to express good will to their neighbors through the Christmas card. Changes in postal charges made the sending of cards for specific holidays easier. Instead of requiring payment by the recipient and charging by the number of pages included, the postal service now had a set price for items contained in an envelope paid for by the sender. In 1870, the introduction of post cards provided people with another affordable way to send holiday wishes. By the 1880s, the Christmas card business in America was booming and offered a new income source for artists, lithographers, engravers, and printers. 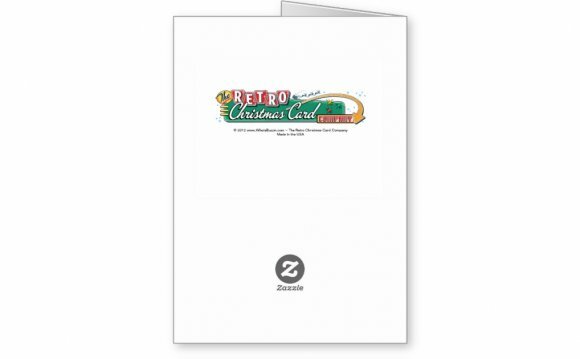 Christmas cards could be simple or elaborate and featured a variety of symbols: robins, evergreens, ivy, mistletoe, poinsettias, religious imagery, St. Nicholas, presents, feasts, and more. Not all cards related directly to Christmas; spring-time floral designs, birds, and children playing in gardens also graced the front of cards. Although Boston and New York were important centers of early American Christmas card production, the small town of Northford (now North Branford), Connecticut, also became nationally known for Christmas cards. During 1871, the Stevens brothers of Northford experimented with highly ornamental Christmas cards, which met with great success. Their cards, glittering and trimmed with fringe, satisfied the Victorian taste for elaborate decoration. So successful were the Stevens Brothers that about 25 competitors opened up shop in the Northford area. For nearly a decade, this little Connecticut town was renowned as the Christmas-card center of the world. American printers faced constant competition from German and English Christmas card manufacturers whose lower-priced products flooded the American market beginning in the latter years of the 19th century. However, American printers continued to produce greeting cards and new American card companies came into existence, even as older companies faltered and failed. Many in the US still purchase and send cards during the holiday season While some cards are imported, many still come from American printers.